Ukrainian retail is developing rapidly not only in the economic aspect but also in the functional one. The issue here is about reformatting stores into shopping malls and vice versa, about the closest possible accommodation to the consumer, which is more attractive to the potential buyer. Preference is now given to leasing, therefore attorneys are approached for developing creative mechanisms of concluding long-term contracts for flexible rent. As before, the key legal services for this segment are unchanged. Such legal services as litigation support, tax consulting, legal audit, antitrust law, restructuring of loan portfolios. The last point became particularly relevant due to the problems in the banking sector. One reason for certain transformations and market needs became such factors as investigation of cartel agreements, strict antitrust control and supervision, work in the sanctions regime against Russian counterparts. In 2017, the legal community entered, taking the first step towards implementing the attorneys monopoly. Now representation of the interests in Cassational Сourts can only be carried out by attorneys, and from next year the same rules will apply to the Court of Appeal too, and from 2019 in all Courts only attorneys will have the right to represent the interests of a client. The retail business, which earlier could carry out self-service of legal cases, is increasingly attracting external legal counsels — attorneys exactly for representation of interests in courts and accompanying claim-action job. This became the reason of certain clients growth for many attorneys at law. To prevent negative reputation risks the retail sector is increasingly resorting to antitrust and anti-corruption compliance. Attorneys at law are, in turn, following trends and trying to satisfy the demand of the retail market for such practice and are opening appropriate directions. Tough competition on the market makes participants evolve and enroot innovations to attract clients. Therefore, cases of implementation of artificial intelligence into the work of retail outlets with the aim of increasing the quality of interaction with a buyer, and increasing the efficiency of logistics processes, are not unique. However, such implementation requires certain resource investments, particularly for acquiring the rights to use artificial intelligence, software and so on. Baker McKenzie acts for international retailers active in Ukraine across a range of matters, including M&A and retail real estate, expansion and development, antitrust. The office is also present in e-commerce, employment, compliance, related intellectual property issues. The Kyiv team is regularly present in M&A deals on the Ukrainian retail market. For example, it advised Billa Ukraine on the sale of two supermarkets in Kharkiv to a Ukrainian trade buyer. The IP practice advises Columbia Sportswear Company in IP matters related to trademark infringement matters, including criminal proceedings against counterfeiters in Ukraine. The majority of transactional projects are handled by Viacheslav Yakymchuk, corporate and M&A partner, while raising IP queries are satisfied by the team of IP partner Ruslan Drobyazko. DLA Piper possesses industry-specific expertise and work with many sound clients across the retail sector. The Kyiv office team is a part of the global market group dedicated to retail. Practice-wise the group includes practitioners from real estate, IP and franchising, competition, finance, tax areas. Among the notable projects is advising CULT Fashion Group, a Ukrainian fashion retailer representing a number of brands in Ukraine (Sonia Rykiel, Polini, Brian Atwood, etc.) on lease issues in the Central Universal Department Store (TsUM) in downtown Kyiv for opening a multi-brand shoes and clothes boutique. The office is a port of choice for large-scale development projects, and has been providing full legal support to Leroy Merlin in its expansion in Ukraine. The firm advised Conair Corporation, a private US-based multinational corporation, which sells small appliances, personal care products, and health and beauty products for both professionals and consumers, on trademark protection. The key partners of the retail industry projects are Natalia Kochergina, renowned for her wide real estate and transactional expertise, and Natalia Pakhomovska, handling IP, e-commerce, pharmaceuticals, IT/telecom and technology matters. AEQUO possesses a multidisciplinary advice representing retail and consumer product industries, including major national retail stores, DIY market players, international retailers and consumer electronics producers. The firm represents Novus Ukraine in an alleged cartel case and subsequent challenging in Ukrainian courts of the decision adopted by the Antimonopoly Committee. The significant corporate team advises major retailers on transactions. The firm was mandated by Epicenter K, the largest Ukrainian DIY retail chain, to advise on acquisition of a controlling stake in Vinnitsa Agro-Industrial Group, operating a substantial agricultural land bank and several significant silos. The firm is also vividly active in litigation matters, including debt recovery, tax, bankruptcy proceeding. The projects are led by two partners of the firm, Denis Lysenko and Anna Babych; and counsel Sergey Denisenko. Asters, full service Ukrainian counsel, advises retailers, retail landlords and consumer brands on a wide range of retail and trading law issues. The firm is proficient in the lease of warehouse and office facilities, food safety, consumer protection and labeling requirements; regulatory issues relating to imports and distribution. The firm is known for consistent following of luxury fashion brands. In particular, Asters advises PRADA Group in connection with the operation of its first mono-brand boutique in Ukraine, including PRADA Store premises lease agreement regarding reducing the rent. Another notable strength is the sizeable antitrust practice with three partners Igor Svechkar, Alexey Pustovit, Oleksandr Voznyuk and involvement in sound, contentious matters. The firm continues representing AC Nielsen Ukraine in a commercial court in connection with appeal of the AMCU’s decision in a cartel investigation on the Ukrainian retail market. Vadym Samoilenko, Svitlana Chepurna and Oleksiy Didkovskiy are other partners involved in retail-related projects. The full-service Ukrainian firm Vasil Kisil & Partners advises the dynamic retail sector in various segments, including food, electronics, DIY, apparel and accessories. The firm acts for Billa Ukraine in a cartel investigation and further ongoing court proceeding regarding challenging a decision of the AMCU. The firm is known for its strong real estate and construction practice, and is chosen for commercial real estate transactions pertaining retail. Notably, the team guided by Alexander Borodkin acted as a legal counsel for Epicenter K in the course of its acquisition of a group of buildings of the former Alta Centre Shopping Mall. In addition, VKP provided legal advice on the termination of operations of Alta Centre, re-execution of land lease agreements and compliance with antitrust laws. The firm is also proficient in tax disputes representation as led by Andriy Stelmashchuk, managing partner. Anna Sisetska, counsel, is the main contact. 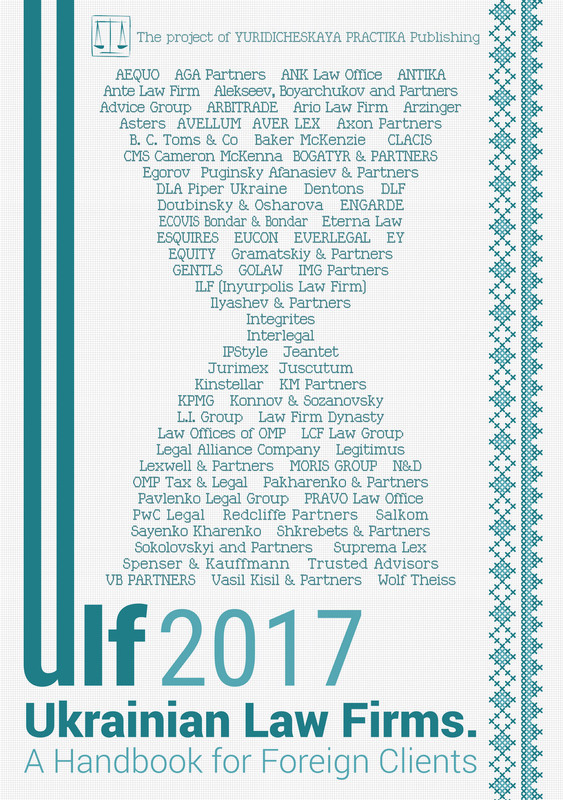 Over the last couple of years GOLAW, a Ukrainian law firm with an established network in the regions (Lviv and Odesa), developed its niche in advising fashion and FMCG retail players. An established client of the firm, the Spanish Inditex group of companies, received advice on a range of employment matters, including indexation of wages, registration and termination of employment relationship, mobilization, compliance with personal data processing, regulatory matters, technical regulations and safety standards, taxation, representation in disputes. Another notable highlight of the past year is support regarding the startup of a new brand of the group in Ukraine, UTERQUE. The firm constantly advises Marks & Spencer Ukraine on various corporate matters, trade patents, employment issues. The client list includes GAP Ukraine, Reckitt Benckiser Pharmaceuticals Household Health Care Ukraine, kids’ stuff retail store Antoshka and others. Maksym Lebedev is the primary contact. Spenser & Kauffmann advises a range of retailers including apparel, food, furniture industries. The recent workflow encompasses employment, compliance; non-residential premises lease agreement, debt restructuring, tax, including litigation work. Yuriy Petrenko, partner, litigation and dispute resolution, is responsible for retail-related projects. The legal team of EY has a strong presence in retail, performing ongoing tax and legal advisory, tax and legal structuring of business, advice on supply chain structuring and on contractual matters, legal compliance reviews. The client roster includes fashion, food, on-line trading platforms. For example, EY provided comprehensive legal advice to Rozetka on structuring the involvement of third party vendors to sales through the Rozetka platform; advised with relation to lease of a warehouse and purchase of warehouse-related equipment, and generally provides ongoing advisory support on a broad range of matters related to operations of the clients. Two partners, Albert Sych and Igor Chufarov, are the main point of contact. Clients hire Gramatskiy & Partners for regulatory advice, structuring of big retail chains, developing of tax models, representation in the course of numerous state inspections. The dedicated team handled administrative and regulatory procedures in the course of development of the trading infrastructure of the PJSC Dniprovskyi Rynok market; supported state market inspections of Dniprovskyi Rynok and its tenants — retailers; developed and implemented the petrochemicals retail trade of WOG Retail. With solid presence in e-commerce, the firm supported the launch of several Internet stores. Some other selected clients are City Capital Group (Trade Centre Darynok), Novyi Complex (Trade Centre Chocolate), Lavinia, Finrostorg, Ditrade. The industry practice group is overseen by Denys Boginich. ANK Law Office, the Odesa-based law firm, receives queries from clients operating shopping malls and business centres. In particular, the firm is hired for negotiations with lessors when signing lease agreements and amendments thereto; reconstruction and commissioning new business units (facilities); inspections by state authorities; development of a tax regime for owners of shopping malls and business centres. The firm’s clients include major players of Odesa: Riviera Shopping Centre, Srednefontanskiy Shopping Centre, Marine Plaza Business Centre, Vuzovskiy Business Centre. Denis Yakovlev is the lead partner, supported by Pavlo Budzar and Victoriya Nogina. Law Firm Dynasty, which has offices in Dnipro and Kyiv, renders day-to-day legal support for the economic activities of clients, which include apparel networks and digital sellers. The key contacts are Anna Poddubnaya and Tamila Petrenko.